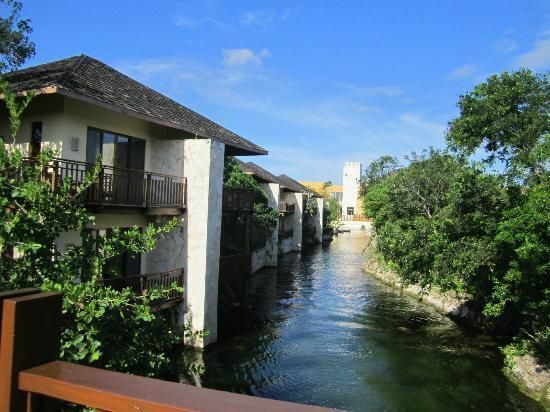 The Fairmont Mayakoba, Riviera Maya is a natural setting of secluded beachfront, surrounding forest and mangroves, located 42 miles south of Cancun, 42 miles from the airport and 15 minutes from Playa del Carmen. Here, an 18-hole seaside course is as much a sanctuary for the golfer as the signature Willow Stream Spa is a soothing retreat for the body. Guestrooms are perfectly appointed and a haven unto themselves, while every amenity, dining choice and activity are designed to complement the serene surroundings. 401 guest rooms, including 34 suites, are located in a traditional low-rise hotel building and clustered throughout the property in 90 two-story Casitas with two to four rooms each. Winding under a forest canopy and through the tropical landscape, El Camaleón borders the resort. 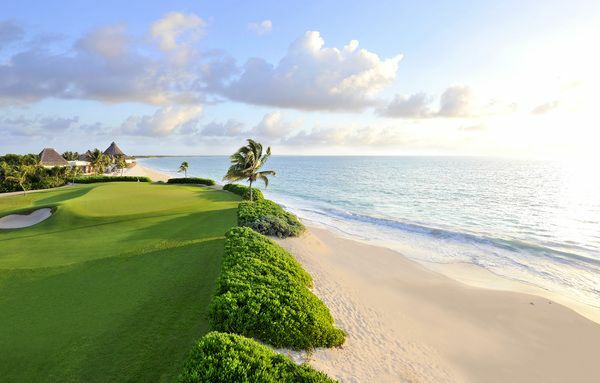 Here, golf enthusiasts can experience fairways lined with sand dunes and mangroves; challenge themselves with unique hazards such as cenotes (subterranean caves) and crystal clear lagoons, Located in the heart of a tropical jungle on the area’s natural lagoons, lies an amazing back drop for a mystical spa journey reminiscent of the textures, colors and scents of the ancient Mayan culture. The Resort also offers 4 pools (including an adults only), Kids Club, and a secluded beach alongside the world’s second largest reef.